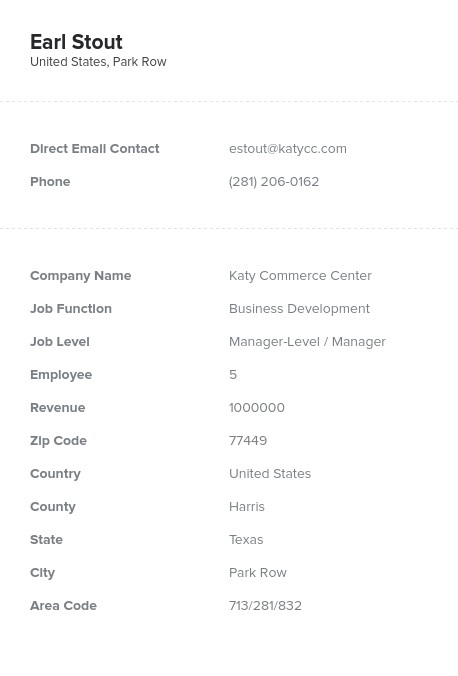 Look up executives and staff working in business development (sometimes called “biz dev”) departments and pull key contact information, such as emails, phone numbers, names, titles, and more, with the help of Bookyourdata.com’s ready-to-download business development email list. Communicate with the movers and shakers in the business development world with this extensive data solution from Bookyourdata.com. This directory of valuable business development contacts is human-verified and reliable, containing enough information to build real, strong business relationships. Communicate with the right people with the help of this easy-to-use and easy-to-integrate database of contacts. This list contains those working in business development departments of many different companies, nonprofits, and institutions. You may find managers, executives, staff, and administrators, all in the department related to the field you're targeting. Don't shout into the void when you're conducting B2B marketing campaigns; tailor an email list to your specific audience. If you want to narrow your campaign even further, feel free to either customize this list or use our dynamic list-builder tool! With this data product, you can have an all-in-one answer to getting in touch with business development professionals. Use it to market your new product or service, network with those in the “biz dev" industry, or simply find the people who may be interested in your company as a business partner. Download this product now to start taking to professionals in business development!